The ScoreBand is a worthy addition to any disc golfer’s bag. (Editor’s note: Two people associated with disc golf blog Rattling Chains tested out ScoreBand, a scoring watch that also works for tennis and other things. The first part is by School of Disc Golf’s lead instructor Jack Trageser, with a review by Rattling Chain’s lead blogger P.J. Harmer following after that). I’ve tested all of the Vibram discs by now, and reviewed most of them here. All the reviews have until now have had a common theme: The main thing that makes them different from all other discs on the market (the grip and durability of rubber) has definite value, and it earns them consideration for a spot in your bag based on that alone. Each of the discs has been worthwhile in it’s own right, and performed as advertised. 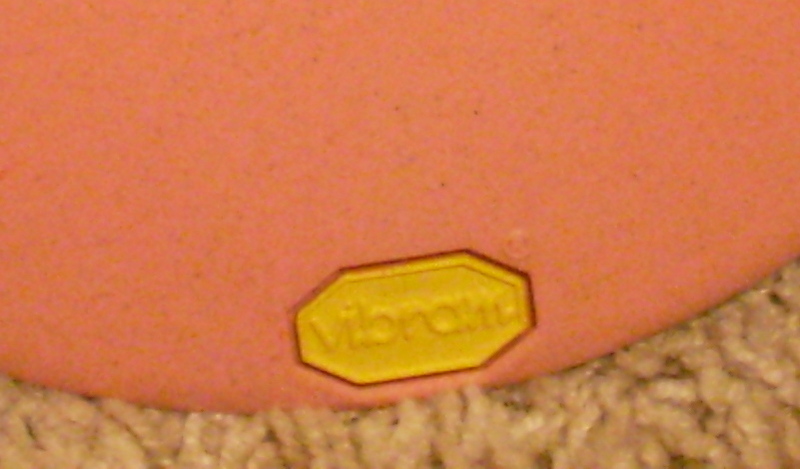 Vibram started with lid-like putters that seem most suitable for driving, but worked well for putting due mainly to the grippy-ness of the rubber compound from which all their discs are made. Their first driver – the Ascent – is reliably overstable for me, but once again valued mostly for the way it comes to rest more abruptly on contact with the ground as opposed to other drivers that tend to skip. Again, the rubber is THE main reason I liked those discs. Otherwise, I’m one of those veteran disc golfers who has dozens (and more dozens) of discs and buys them much less often now because what I have works fine for me. Then I tested the Trak. This stable driver seems to do something for me no disc has ever done- something that as a lefthanded player is particularly valuable: It holds a gradual turnover line for a very long time. I’ll try to explain it with as much detail as possible, because I believe it is very significant, even ground-breaking. For me, Vibram’s Trak gives me a better option in such situations, which is why it now has a permanent place in my bag. I can make it fly on one long, gradual straight or turnover line, and is less likely to come out of that line at the end of its flight when it loses power, hyzering back. If I throw it too hard and low, it will of course turn over too soon, but even there it has an advantage: the rubber compound from which it is made helps it to bite into the ground, minimizing the damage. My favorite hole to use an example of this disc’s usefulness to me is hole 18 on the Aptos High School course near DeLaveaga. It’s a slightly downhill hole that also slopes left-to-right with thick trees and brush all along the left side, yet completely wide open on the right side. It’s long enough to require all the power I can muster. For right-handers it’s a no-brain long hyzer shot. But for me it has always presented a formidable challenge. Not only is there OB down below on that right side, where my disc is sure to go if it hyzers out early. The basket is tucked in behind the line of trees that runs the length of the fairway on the left, and if my disc turns over too soon it ends up in those trees. If I get it to start on the right side with a big anhyzer line, but it falls right at the end, it runs into a grove of trees on the right side, below and pin-high with the basket. My choices were always to play it safe by throwing a low, conservative midrange with a slight bit of turnover, getting most of the way there and setting me up for a routine par, or putting it way out to the right with a driver, and giving it a dramatic turnover angle. The hope here was that it would be just enough angle and power to hold that line the entire way to the basket, but not so much that it would turn over early. It rarely worked with the exact precision required to get all the way to the basket. But using the Trak, I am able to throw a shot that is a cross between these two approaches. My line now does not need to sweep so far on the outside, and definitely doesn’t require such an aggressive angle to hold the line all the way to the basket. I’m able to throw the disc close to the treeline on the left with a flat, straight angle and watch it hold a long, gradual turn all the way to the basket. The birdies are more frequent, and the chances of bogey due to the above-mentioned mistakes much less. Many discs have been touted to ‘hold any line’, but the Trak is the first I’ve seen to back up the claim. I’m telling you, you gotta try this disc! A few weeks ago I wrote a blahg entry about the fact that a major corporation (Vibram) outside of disc sports had begun marketing golf discs in earnest, and the significance of their entire line being made from rubber rather than a plastic compound. It was sort of a disc review-preview in advance of the individual disc reviews, and if you haven’t read it yet you can check it out here. Now, as promised, here is the first of four disc reviews I’ll provide (they sent me an example of each of their first four models- hopefully I’ll get to review their new mid-range and long range driver soon as well). It is indeed very grippy and very, very durable, just as advertised, and as a result extremely reliable as well. I like it so much it’s earned a spot in my bag. I’m looking forward to testing their new long-range driver called the ‘Trek’ when it comes out to see how it differs from the Ascent, which Vibram classifies as a ‘fairway driver’. A serious injury has forced me to permanently re-shape my game in acknowledgment of reduced power, but I get pretty much the same distance with the Ascent as with the other overstable drivers in my bag right now (FLX Surge, Star Katana, Star Destroyer). So in the distance sense, for me anyway, it’s as good as any other driver I throw. But I can see how it might be considered a fairway driver in the control sense, like when a ball golfer uses a three wood rather than a driver to keep the ball on the fairway or hit the green of a par 5 from 250 yards. First of all – and I don’t know if it’s the unique properties of their rubber compound but will assume that’s the case – this disc can be thrown with all kinds of turnover angle and power and will still hyzer out at the end of its flight for me. (With my Katana this isn’t the case; it seems to have a point of no return where it gives up the ghost and just keeps turnin’.) But what’s really nice is that even though I don’t have a great deal of power or armspeed any more (if I ever did), the overstable qualities of the Ascent don’t translate to a disc that immediately cuts to the hyzer side, depriving me of distance in a relatively straight line. It has nice carry for such a stable disc. Another fairway driver quality of the Ascent is related to the rubber from which it’s made. The disc Vibram sent me to review is made from their medium-range X-Link compound (not firm, not soft, but juuuuust right. Just like baby bear and Goldlocks prefer!) It’s not floppy by any means, but grippier than anything but the floppiest plastic putters. I’ve noticed that my Ascent will skip some – when it should – but it comes to rest pretty quickly. This quality has comes in handy on long holes when I’ve had 300-plus feet to the basket on a second shot from the fairway, like certain holes at Pinto Lake. I may be getting away from the Ascent review and back to a discussion of Vibram’s X-Link rubber compound, but here’s an interesting tidbit that Vibram’s Steve Dodge shared with me to wrap it up for now. You can throw an Ascent your hardest at a brick wall 10, 20, 50 times, until it’s dented and warped to the point of uselessness, then put it in the microwave for two minutes and it comes out good as new! I’d try it myself, but I need to save my arm for throws that count. Plus, I’ve grown attached to my one and only Ascent! Check back soon for reviews of the Summit, Ridge, and VP putters. What’s the oldest disc in your bag? For me, it’s a 180-gram DGA ‘Disc Golf Disc’ #1, which was factored by Steady Ed himself into a less stable #4. I bought it from Steady Ed at his warehouse in Freedom, CA after getting a little tour of the facilities. I’d guess it came out of the mold in the late 80’s or early 90’s, and I bought it around 1997 or so. I paid Ed $20 for that disc, and a few others like it! And it’s not in my bag for nostalgic reasons, either. I only use it as a roller, and it’s useful because I can start it off almost like an airshot thrown into the ground and it will stand up and eventually turn over. On #6 I actually put hyzer on it- it’s that understable. At DeLa, I use it as my driver on #6 (remember I’m a lefty), and I regularly use it for the tricky 2nd shot on I-5 (hole 13). The second-oldest disc in my bag might be my ‘beat putter,’ an Aviar from an early 90’s tourney at DeLa with a Jamba Juice stamp.